How exactly do you filter through information spread on the internet? Do you look at everything through a skeptical eye and attempt to get every possible angle on the same story so you can hopefully formulate your opinion on the subject? And you’ll likely do the same thing here after Aaron Rodgers blasted a Bleacher Report article sullying his name. 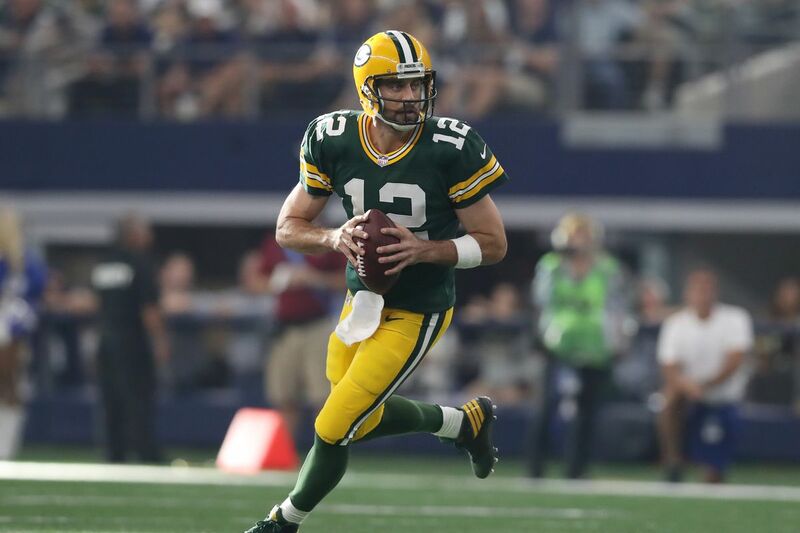 A Bleacher Report article from Tyler Dunne released this week chronicled the rocky relationship between Green Bay Packers quarterback Aaron Rodgers and his recently fired head coach Mike McCarthy. The point of the article suggested that the tension between the two, the power struggle, wasn’t a recent thing – it actually goes way back to Rodgers’ draft night in 2006 when then-San Francisco 49ers offensive coordinator and future Packers head coach selected Alex Smith for the No. 1 overall pick instead of Rodgers. Rodgers’ fragile ego was fractured that night only to be compounded by the fact he would be forced to work with a guy who didn’t believe in him when he finally took over for Brett Favre. Another theme in the article consists of Rodgers being so arrogant that he always viewed himself as the smartest guy in the room; as former teammates, Greg Jennings and Jermichael Finley confirmed this accusation against the future Hall of Famer. It didn’t take long for Rodgers to respond to the article. In fact, it was the very next day. The Packers quarterback is referring to Jennings and Finley. Rodgers has a point. He’s one of the most famous athletes in America and some would even argue that the undersized quarterback has a better raw talent than six-time Super Bowl champion Tom Brady. Brady has even admitted as much when he said that if Rodgers had been in the Patriots system then he would throw for 7,000 yards every season. The point being is that the more famous you are the bigger punching bag target you’ll be. The thing about Rodgers is he has a long history of conceit and questionable problems in his personal life too. Rodgers was estranged from his immediate family for a longtime for unknown reasons, but they were begging to have him back in their life. Now, to be fair, it’s the age-old story that once celebrity and millionaire status is achieved then people come out of the woodwork beckoning at your door to get a piece of it. It’s unfair to presume what happened there but when you couple that story and how his teammates feel about him, it adds up. Needless to say, this is another classic example of “He said; she said” and we’ll likely never know the truth, but Rodgers could’ve ignored this story altogether. Instead, he made a point to defend his status as a leader and a teammate. That should speak volumes.